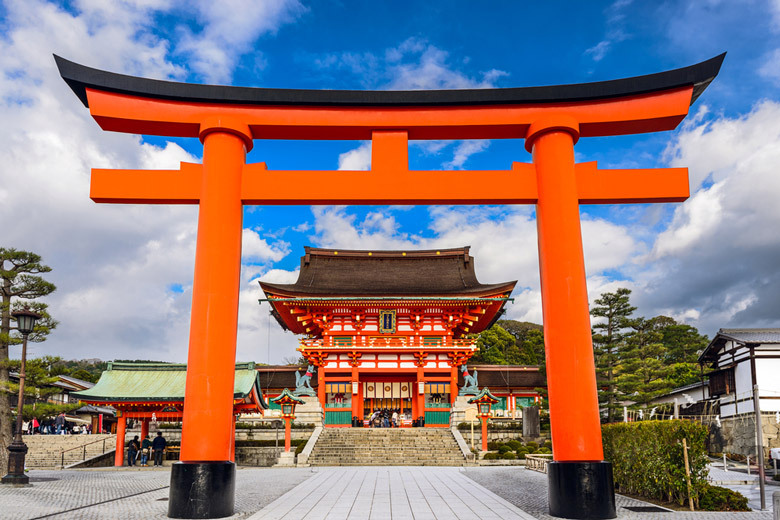 With over 2,000 religious places Kyoto is certainly not short of things to see and do. Brimming with temples and shrines, Kyoto also offers great cuisine, beautiful parks, and impressive palaces in this city that was once the Imperial capital of Japan. 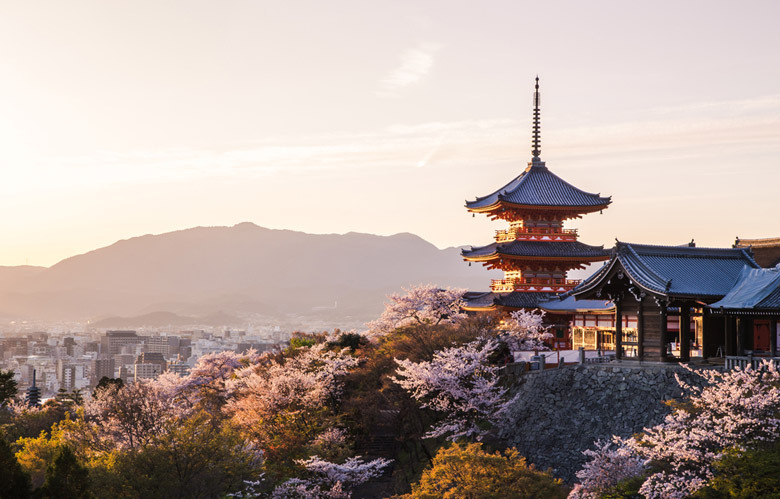 Today modern day Kyoto stands side by side with its ancient history and culture but if you can’t decide which Kyoto attractions to visit, check our top 10 things to do in Kyoto. The first attraction on our list of top 10 things to do in Kyoto is a little different to the rest but equally recommended. Iwatayama Monkey Park is home to around 170 Japanese macaque monkeys, also known as snow monkeys. These cute, pink faced monkeys live within the park although they are wild animals, and, despite being wild you are able to feed them provided that you follow the park rules… You can only feed them from within a designated hut, through a wire fence. Once you’ve fed them you can leave the hut and walk around where the monkeys are wild but you cannot pick up any food that’s been dropped, you cannot touch the monkeys, and you must not stare at them because they can take this as a sign of aggression. The whole experience is fun and safe if you follow the rules! 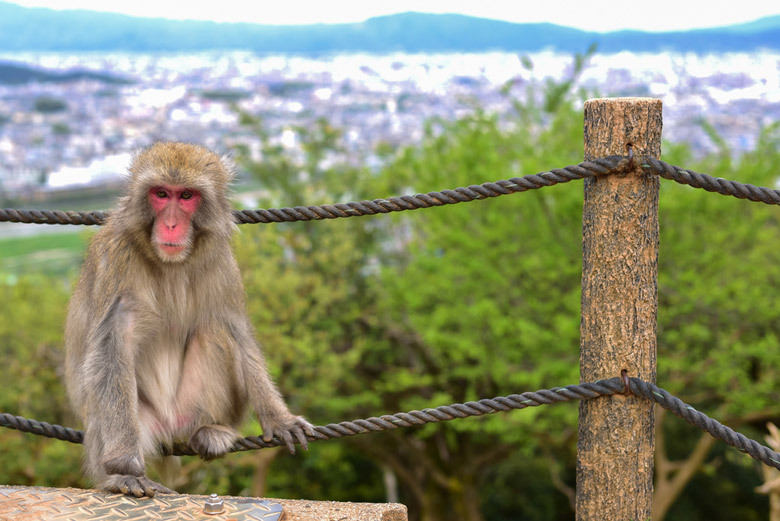 There is a hike involved to get to the Monkey Park – it will take between 15 and 30 minutes to get to the park entrance from the nearest train station, Arashiyama, and then it’s a further 15 minutes hike up a fairly steep hill. There are places to stop along the way though and the views are really something. Food for the monkeys as well as refreshments for yourself, can be purchased at the park. 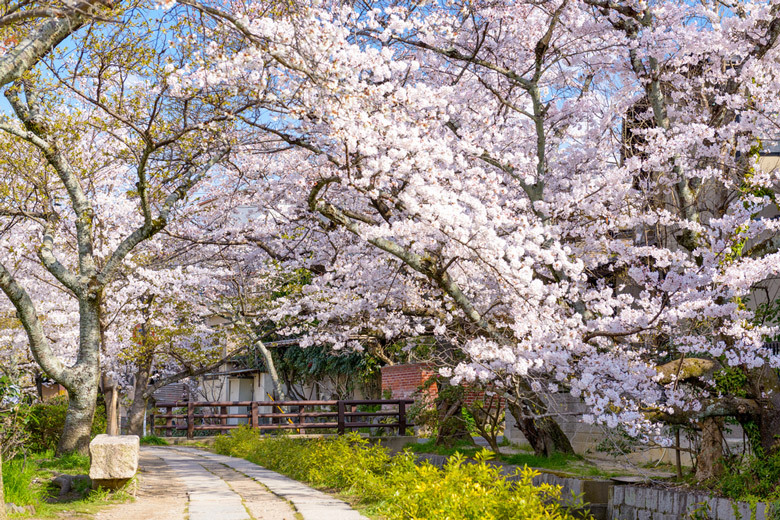 The Philosopher’s Walk is a popular Kyoto attraction at any time of the year but especially in the spring during hanami. Hanami is the Japanese tradition of traveling somewhere to enjoy the beauty of flowers, which, in this case means the wonderful Japanese cherry blossoms, called Sakura, that line this particular canal in Kyoto. It’s a really beautiful sight to see the cherry trees in blossom, turning the canal pink as the blossoms fall into the water. Of course, if you do visit the city during hanami there will be more crowds than normal walking alongside the canal, but the spectacle is one that must be on your list of things to do in Kyoto. At all other times of the year, Philosopher’s Walk is still a popular Kyoto attraction. It was given this name because an influential Japanese philosopher named Nishida Kitaro apparently used to come here for his daily meditation. The pedestrian-only path follows the canal between Ginkaku-ji and Nanzen-ji and takes about thirty minutes to walk from one end to the other. There are some nice sights to see along the way though, so take your time and enjoy this peaceful and relaxing corner of Kyoto. The second of the Imperial villas on our list of things to do in Kyoto, Shugaku-in Imperial Villa is quite different to Katsura. 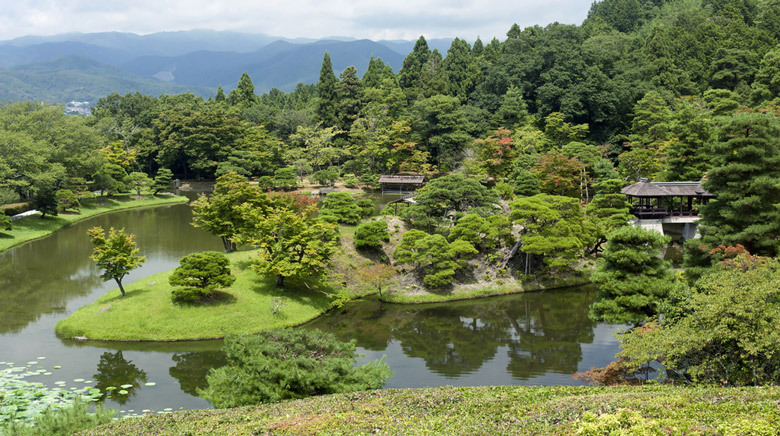 The main feature here is the gardens, which, like Katsura are considered to be one of the great masterpieces of Japanese gardening, and they are split into three different gardens: the Lower Garden, the Middle Garden and the Upper Garden. 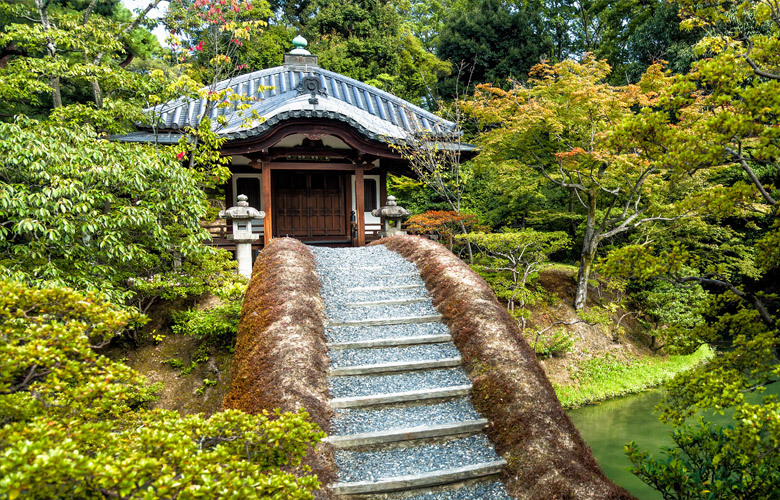 The buildings themselves are on a far smaller scale and include mostly tea houses within the gardens as this location was generally used as a summer retreat for the Imperial families who would visit on day trips. Shugaku-in was constructed between 1655 and 1659 though the Middle Garden was a later addition. Walkways, ponds and small waterfalls cascade down the hillside and there are plenty of little bridges crossing the waterways. To visit this Kyoto attraction you must get your tickets in advance from the Imperial Household building which is close to Kyoto Imperial Villa. Limited numbers of tours are conducted each day and foreign tourists can usually get tickets several days in advance. There are English audio guides available. Sanjusangen-do Hall is different to the other temples on our list of things to do in Kyoto because it’s not so much the hall that’s impressive as what’s inside it. Literally translated as “Hall with thirty-three spaces between columns” – which describes the architecture of the temple – Sanjusangen-do is officially named Rengeo-in Temple and was completed in 1164. However, when a fire destroyed the temple complex in 1249, the decision was made to only rebuild the main hall. 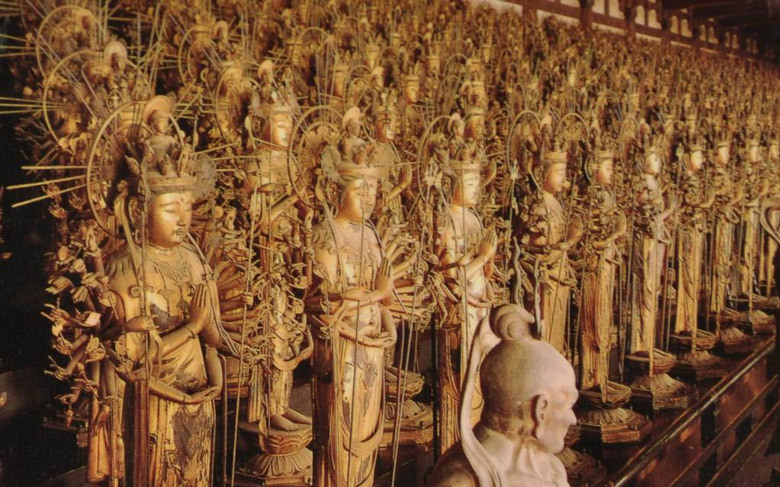 Today, although this is all that remains of that original temple, the sight inside the hall is quite spectacular; it houses 1,000 wooden life-sized statues that represent the Thousand Armed Kannon and they are made out of Japanese cypress and clad in gold leaf. One hundred twenty-four of these statues are originals from the temple before the fire, while the other 876 were made in the 13th century and they are all surrounded by a further 28 statues of guardian deities. Unfortunately no photos are allowed to be taken inside the hall, but you can wander around the rest of the original temple complex and take photos there. There is a very good museum shop at this Kyoto attraction and there are also many signs in English to read. To make a change from all the temples and shrines, our next Kyoto attraction is for anyone who loves to shop. Nishiki Market is actually more than just a place to buy goods. Steeped in history and tradition, this market has been in existence for hundreds of years and many of the stores are operated by the same families as they were in the early days of Nishiki Market. Situated in downtown Kyoto the marketplace has several entrances and covers a total of 5 blocks. It’s actually more like an enclosed narrow street, and along its length you’ll find over one hundred stores and places to eat. It’s the little places selling food that often get the rave reviews when travelers talk about what to do in Kyoto. 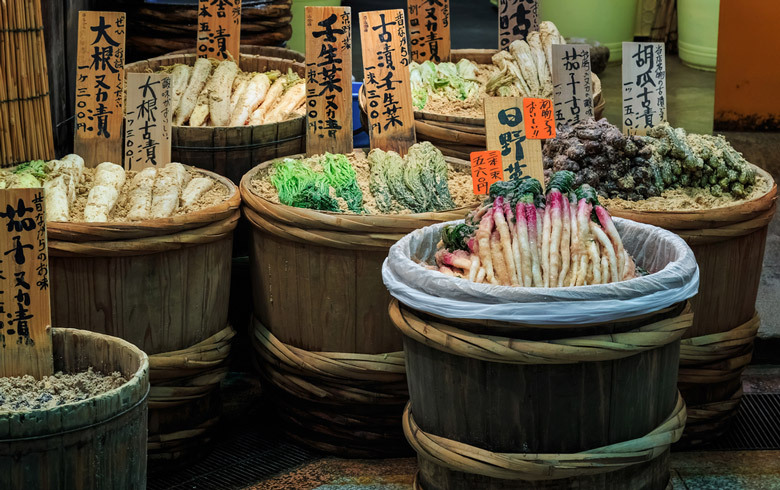 The market is actually nicknamed “Kyoto’s Kitchen” and you can walk from store to store, picking up tasty Japanese culinary treats and dishes as you go. You can just make the most of the free samples that are often handed out, or sit down for a full meal. Nishiki Market is also a great place to shop for souvenirs and typical Japanese items including ceramics, knives, and items handmade right here in Kyoto. There are a number of Imperial palaces and villas in Kyoto, but only this one and one other has made it onto our list of what to do in Kyoto. Katsura Imperial Villa (also known as Katsura Detached Palace) is a Japanese cultural treasure known for its wonderful gardens and architecture. It was owned by the princes of the Hachijo-no-miya family and was created in the 17th century. What makes Katsura Imperial Villa such a special place is its blending of architecture and design, combining traditional Japanese design with ideas used in early Shinto shrines and the philosophy of Zen Buddhism. 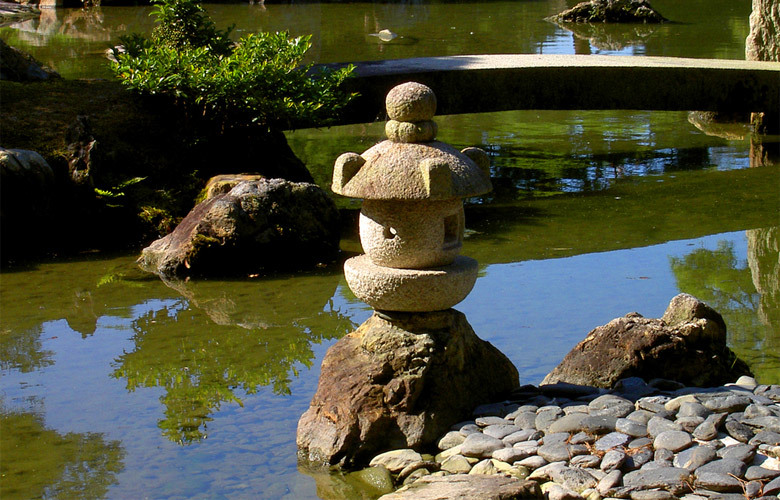 The villa buildings are magnificent and include a shoin (which is like a drawing room) and tea houses, and the gardens, which are considered a masterpiece of Japanese gardening are just lovely with their ponds, bridges and pavilions, walkways and lawns. To visit this popular Kyoto attraction you will need to reserve a space on a guided tour in advance, online. Tickets are free and the tours are conducted in Japanese though there are audio guides available for non-Japanese speakers. 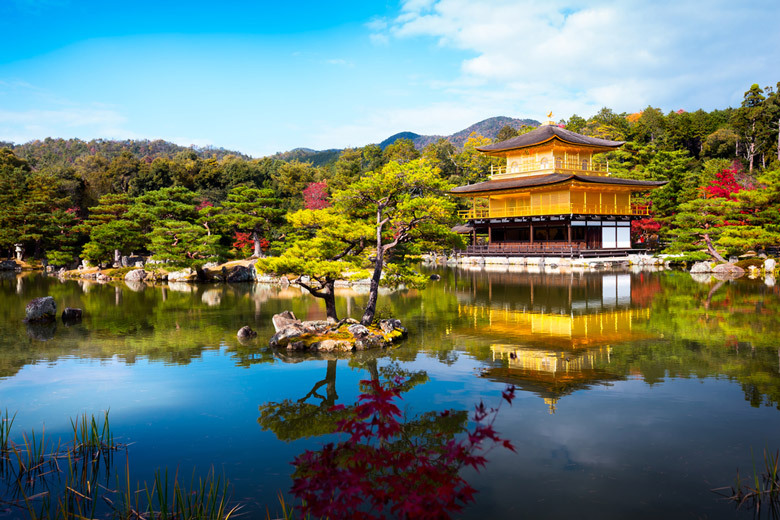 Kyoto’s Temple of the Golden Pavilion is one of the best known and most visited attractions in the whole of Japan. Commonly called Kinkaku-ji, this temple is officially named Rokuon-ji which literally translates as Deer Garden Temple, so don’t be confused by the many names you may hear! Whatever you prefer to call this beautiful and stunning attraction, this is one that should definitely be on your list of what to do in Kyoto. Founded in 1397 on the site of what was originally a villa, the Golden Pavilion was actually destroyed by fire in 1950 and re-built in 1955. Although it isn’t the original, what you’ll see here today is said to be a very close copy of the original and it features beautiful gold leaf that had to be reapplied in the 1980s. The gardens surrounding the pavilion are known as Japanese strolling gardens, landscaped perfectly for wandering around and enjoying. Being such a popular place you should expect to be battling with the crowds when you visit but don’t let you dissuade you. The Golden Pavilion and the gardens are a must-see, so if you prefer to visit without the crowds, come as early as you can. Known as a plains or flatland castle, Nijo Castle was not built on a hill like many others were but on a flat area of land where it’s surrounded by two concentric rings of fortifications. These fortifications include a wall and a wide moat so although invaders would not have had to climb a hill they would have had to traverse the moats. Today, Nijo Castle is well preserved and it’s one of the seventeen Historic Monuments of Ancient Kyoto so it’s a popular thing to do in Kyoto and a welcome break from shrine and temple sightseeing. There are actually two palaces within the fortifications: the Ninomaru Palace and the ruins of Honmaru Palace as well as a number of other buildings and pretty gardens. Sit and enjoy looking out onto the gardens from the tea house and if you visit Kyoto in the spring you’ll see beautiful cherry and Japanese plum trees blossoming. 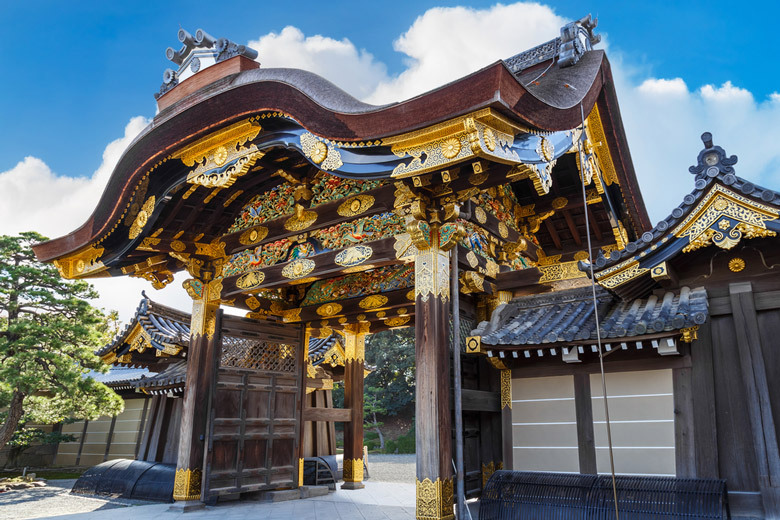 Another feature that makes Nijo Castle such a popular Kyoto attraction is its history which is particularly fascinating to anyone with an interest in the Samurai era and Shogun era. 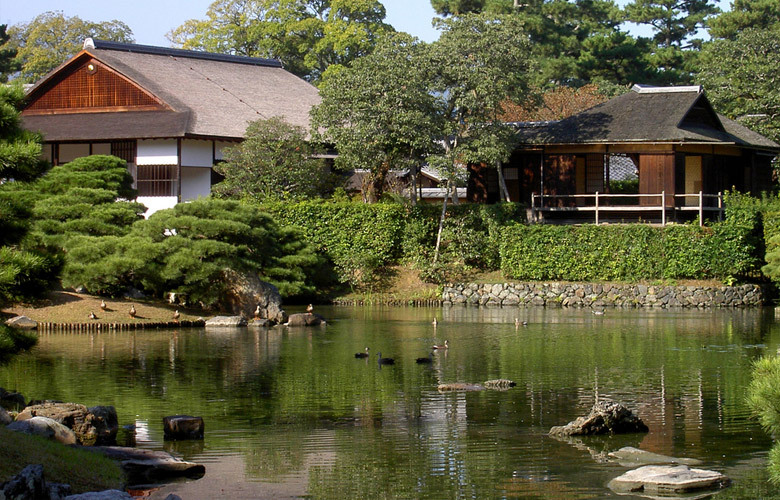 Get the most out of a visit to Nijo Castle and pay the extra for an audio guide. 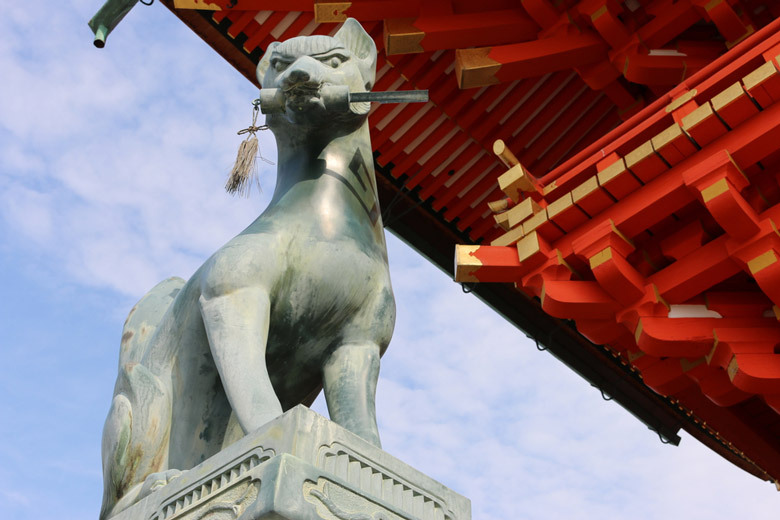 They say that Kiyomizu-dera is the most visited temple in Kyoto, and we wouldn’t be surprised if this was true. It’s a beautiful place that should be on everyone’s list of top things to do in Kyoto, whether you’re really interested in seeing the city’s temples or not. You could come here just for the fabulous views of Kyoto from its hillside location, or you could come just to enjoy wandering around the scenic parkland and forests that surround the temple, or you could come here because Kiyomizu-dera is one of the temples of the Historic Monuments of Ancient Kyoto and was one of twenty-one finalists for the New Seven Wonders of the World. Really, we enjoy visiting this Kyoto attraction for all those reasons! Kiyomizu-dera Temple was founded in 778 and the buildings you see here today were constructed in 1633 by order of Tokugawa lemitsu, the third shogun of the Tokugawa dynasty. The name of the temple is taken from the waterfall within the temple complex because “Kiyomizu” means clear or pure water, and if visitors catch and drink some of the water cascading from the Otowa waterfall it is said to grant you your wishes. One final thing… the temple is very unique in that not a single nail was used in its construction. In a city with over 2000 temples and shrines, what sets one apart from another and makes it worthy of a spot on the top things to do in Kyoto? 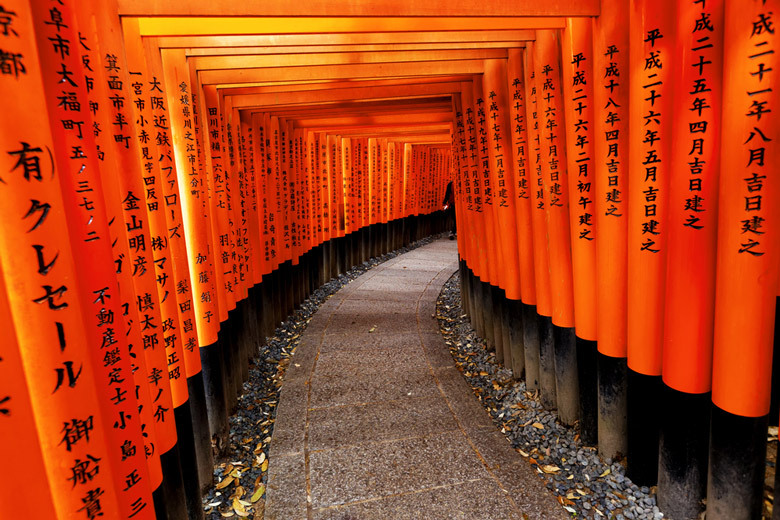 Well Fushimi Inari-taisha Shrine is definitely worthy of a spot and is often ranked as the number one Kyoto attraction. This is the head shrine of Inari, the Shinto god of rice, sake, fertility and tea among other things, but primarily of rice. The shrine has a magical atmosphere, set at the base of Inari Mountain and featuring numerous smaller shrines dotted along the 4 kilometer (2.5 mile) path up the mountain which is lined with thousands of torii leading to the inner shrine. The attraction is busiest close to the entrance where the main gate and main shrine are located and if you leave your visit until the afternoon you’ll struggle to find empty spaces in which to take your photos, so mornings are best. 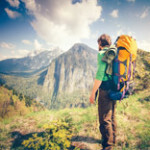 And if you do hike up the mountain (which should take around 2 hours) the trail gets quieter and quieter the further up you travel. It’s amazing to think that the earliest structures here date from the year 711 while the main shrine was constructed in 1499.